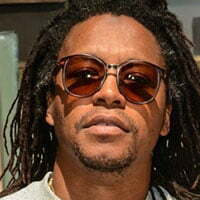 Studio SV, the prodco founded by rapper Lupe Fiasco, has secured a distribution deal with pan-Asian channel operator Celestial Tiger Entertainment (CTE) for its debut series Beat n Path. CTE will air the martial arts documentary series on its action-entertainment network Kix, which is accessible in South-East Asia and Hong Kong. Beat n Path will premiere on the channel in March 2018 in a primetime slot. The series follows Fiasco (real name Wasalu Jaco) as he embarks on a journey across China, living out his passion for martial arts by practising with Kung Fu masters throughout China, while also exploring China’s burgeoning hip hop scene. It is the first programme to emerge from Studio SV, which Fiasco launched in October with Bonnie Chan Woo, CEO of Hong Kong marketing firm Icicle Group.